Whether you're planning to buy a trailer to fit a new boat or to transport a boat you already own, make sure the trailer is big enough to accommodate the boat comfortably, but snugly. You'll need to know how big your boat is at its longest and widest dimensions, then match those dimensions to the size of the trailer. It's important to know exactly how to measure the trailer so your boat isn't hanging over the sides like laundry draped over a clothesline. Measure with a measuring tape along the center line of the trailer, the distance from the front of the hitch to the center of the back rail of the frame of the trailer. 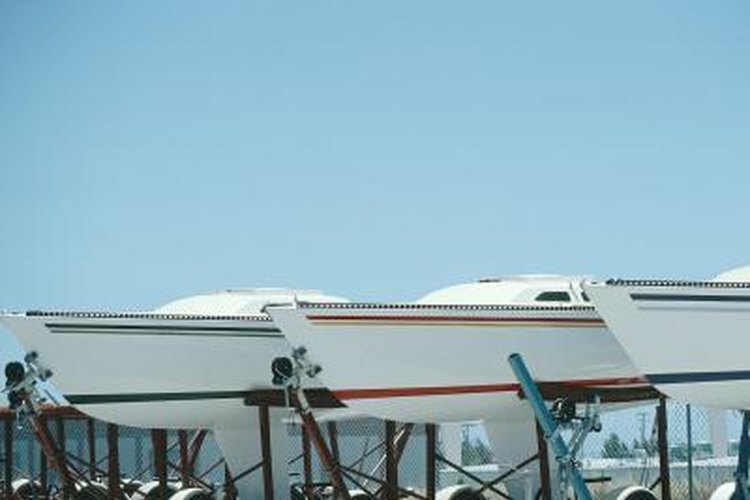 Your boat needs to fit within the space afforded by the trailer. If it doesn't, it could hit the back of your vehicle when you turn, or get hit by someone else's vehicle. Measure the greatest outside width of the trailer, whether it's from side rail to side rail or fender to fender, to ensure that your boat fits snugly on the trailer. Measure vertically from the ground to the top of the trailer. When you're backing down a launching ramp, a trailer that sits 3 1/2 feet off the ground will have to go farther down the ramp--and into the water--than a trailer that is 2 feet off the ground. Look at the trailer's placard that displays the Gross Vehicle Weight Rating (GVWR) to calculate how much boat (and equipment) the trailer can carry.